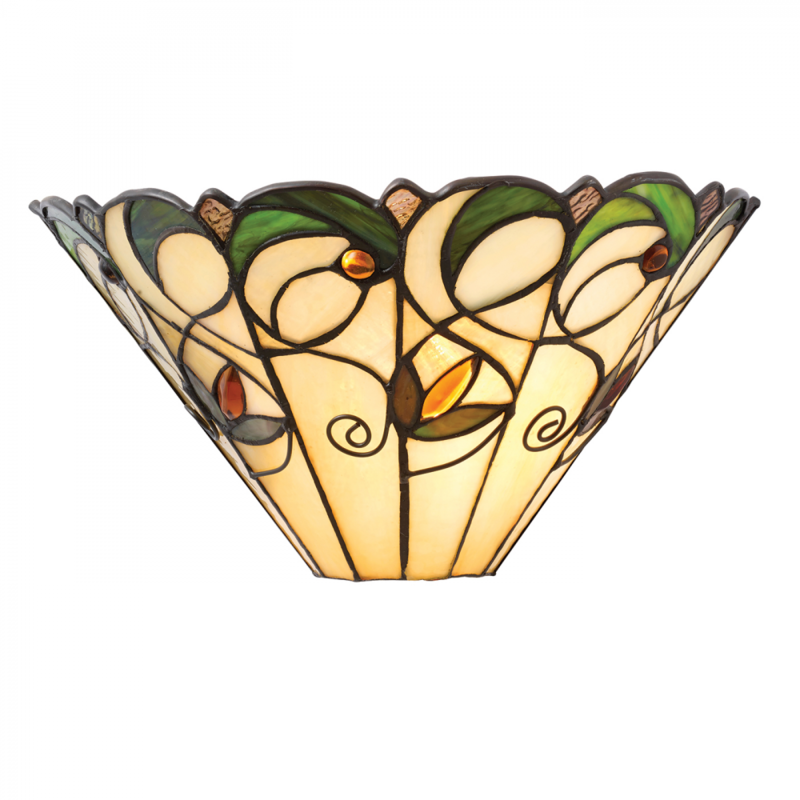 This pretty Happy Homewares wall light features subtle colours and amber glass beads. Dimmable and compatible with LED lamps. 14cm projection x 17cm height x 31cm width. Bulb information: 40W E14 golf - not included. This product is dimmable and has an IP rating of IP20. Material: Glass & steel. Voltage: 220-240V.